Please join us on June 2 for Kids Convention 2012. 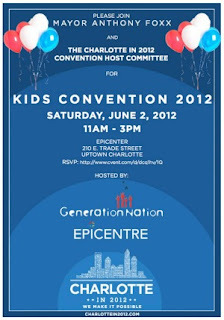 This exciting, non-partisan, family friendly event - sponsored by Charlotte in 2012, EpiCentre, and GenerationNation - gives kids the opportunity to experience civics in action and learn more about the upcoming national convention. The event is free and open to the public. 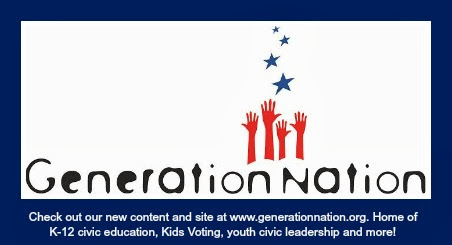 Registration is recommended.